For the thirteenth year, vignaioli from Italy (125) and vignerons from France (20) who produce “natural” wine came together for two days outside of Parma in Fornovo di Taro and offered their wines for tasting and for sale along with local food products made with organic or biodynamic agriculture at an event called Vini di Vignaioli/Vins de Vignerons. The line that formed before the 10:00 am Sunday morning opening was testament to the fact that this in no longer an “alternative” or hippie event. The mission statement of AVN reads: To drink natural wine is to respect living things: the earth, the vine, the grape…Our ambition is to stand for healthy wines that express their terroir and their vintage year. We don’t pretend to have the “right” taste, instead we have our taste for wines that are alive and digestible and whose production is conditioned by Nature not the fad of the day. We stand for viniculture that is artisanal and sincere, independent of the “law of the market”. In this time of crisis for wine, we are offering a clear alternative to the tendency to standardize taste and the vicious competition that accompanies that trend. The list of participants includes both lesser known and better known vignaioli, but all are equal. Each had only a small wooden table for displaying wine. There was no alphabetical, numerical or regional order, just vignaioli all under the same tent. 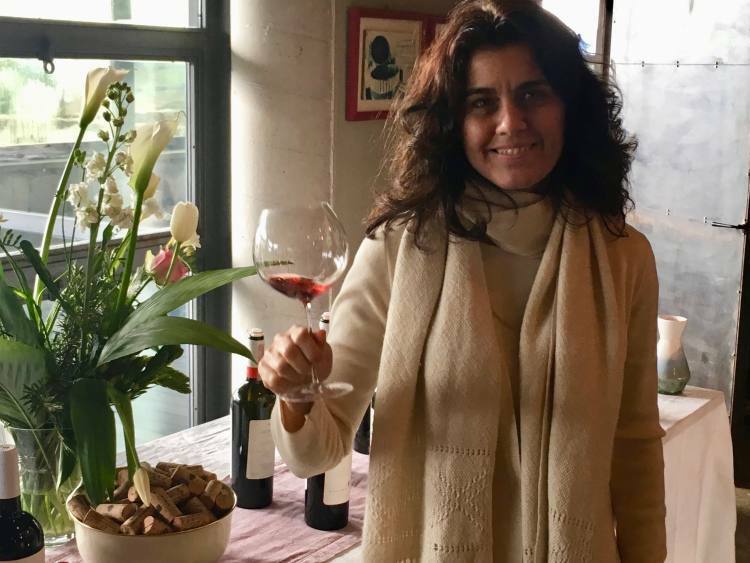 I stopped to talk with Elisabetta Foradori, who was a pioneer in using biodynamic agriculture to make terroir wines from Trentino and who has inspired me since I met her in 2010. –No modification of the grapes or the must using techniques in the cellar like: reverse osmosis, tangential filtration, pasteurization, temperature controlled fermentation , etc. –No chemical or other substance is added to the wine with the exception of possibly a minimum amount of sulphites at the time that the wine is bottled (up to 30 mg/l for reds or sparkling wines and up to 40 mg/l for whites) NB: 200-400 mg/l allowed by the EU. 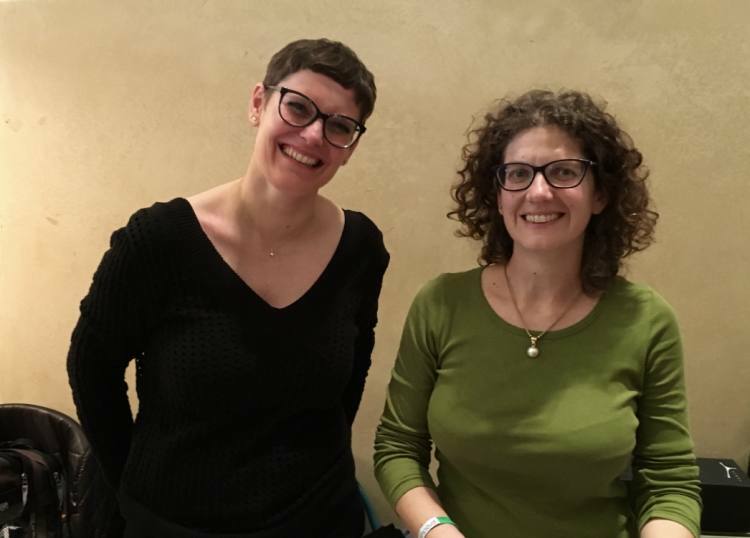 I also found vignaioli like Andrea and Alessandra Kihlgren, whom I had never met but whose Santa Caterina wines I had tasted because they are made near where I live in Liguria. I tasted two wines from the same vintage year, made with the same native grape, Vermentino: one macerated on the skins and other not. How fascinating to find the difference in taste. Each had its own voice and personality and both were delicious. There were so many others there about whom I’ve written or have posts coming soon including: Arianna Occhipinti, Marco Sferlazzo of Porta del Vento, Mario Zanusso of I Clivi, Loris, Adelchi and Raffaele Follador of Case Coste Piane, Elena Pontaleone of La Stoppa, and Stefano Belloti of Cascina deli Ulivi. 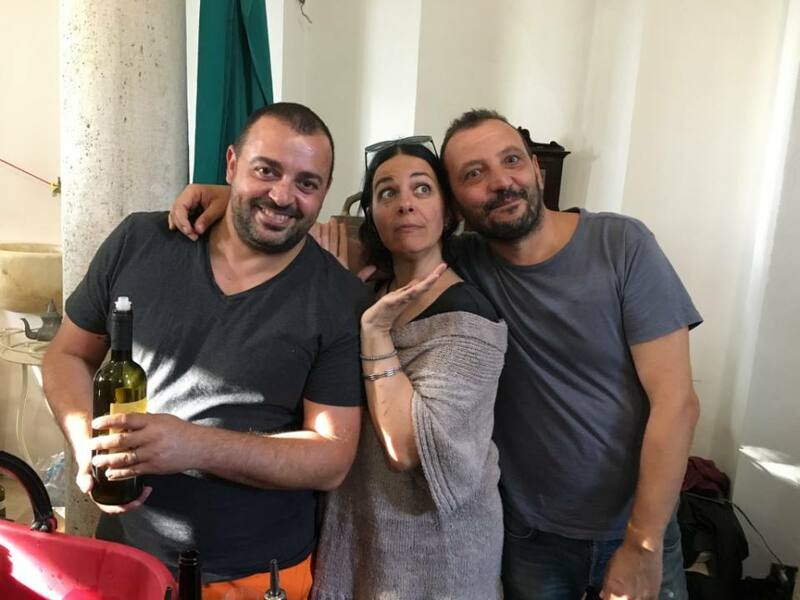 Speaking of Stefano Belloti, he called up three young protégés, who work with him at Cascini deli Ulivi, to talk about their experiences at a conference on biodynamic viniculture that was held the day before the fair. All had stories to tell about how they had moved from conventional wine careers to their current work, and their joy and commitment was palpable. The conference was held in conjunction with the Vini di Vignaioli fair at Auditorium of San Francesco at the impressive medieval castle of Bardi. The conference was sponsored by Renaissance des Appelations, founded by Nicholas Joly in France now has a sister organization in Italy, Renaissance Italie. The name of the organization refers to the French “Appelations”, the government classifications which were designed to enshrine the French concept of terroir. Joly, a vigneron himself, became increasingly concerned that the Appelations were allowing methods and substances in the vineyards and cellars that were designed for increased standardization as opposed to expressing unique terroir characteristics. 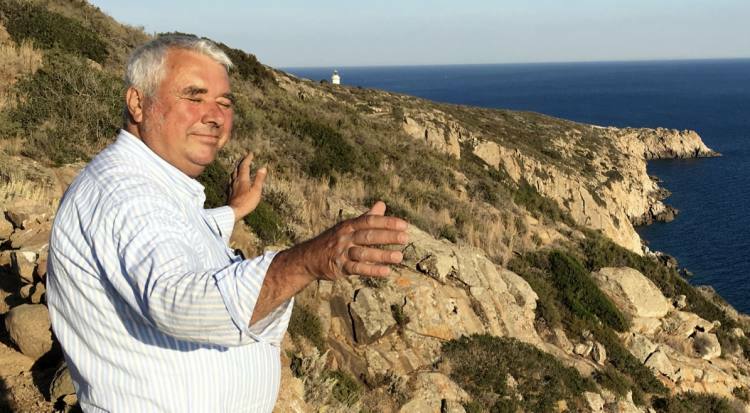 His vision is to promote a “renaissance” of real, authentic, terroir wine. 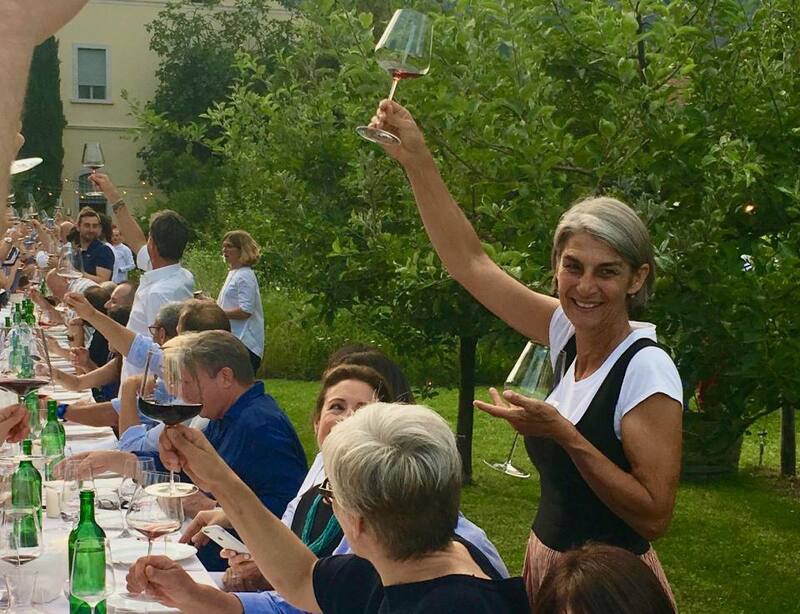 A related issue came up at the conference when Ursula Ricardi brought up the fact that in courses for sommeliers, there is a tendency to train their palates not with natural, organic, biodynamic wines but with more standardized wine. It is like training children to eat processed food to the point where they don’t like “real” food. Her organization, FISAR, is beginning to address the problem and challenged Riccardo Vescovini, who spoke at the conference on behalf of AIS, Associazione Italiana Sommeliers, to do the same. Luca is the first to admit that thirty years ago, he was a believer in “industrialized” New World wine, which seemed like good value for the price. But then, he started to realize that using chemical and synthetic materials and industrial techniques to “standardize” taste was creating wine that had no link to terroir. 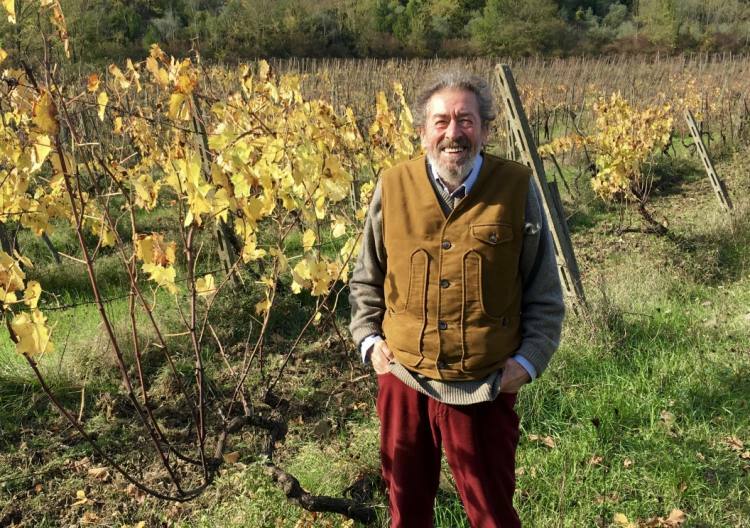 He formed the AAA Association of vignaioli: Artisans, (Clean) Agriculture, Artists (Sensitivity) and pledged to sell only this kind of authentic wine in his family’s international trading company. His model highlights the fact that taking the time to know who is making your wine, how he/she is making it, and where it comes from is the basis for making real choices about what wine to drink. The choice you make affects you and also affects how wine will be made in the future. Buying from these vignaioli is a form of support for not just a way of making wine, but a way of living on the Earth. It is a way to participate in a community that stands for a distinct set of values. 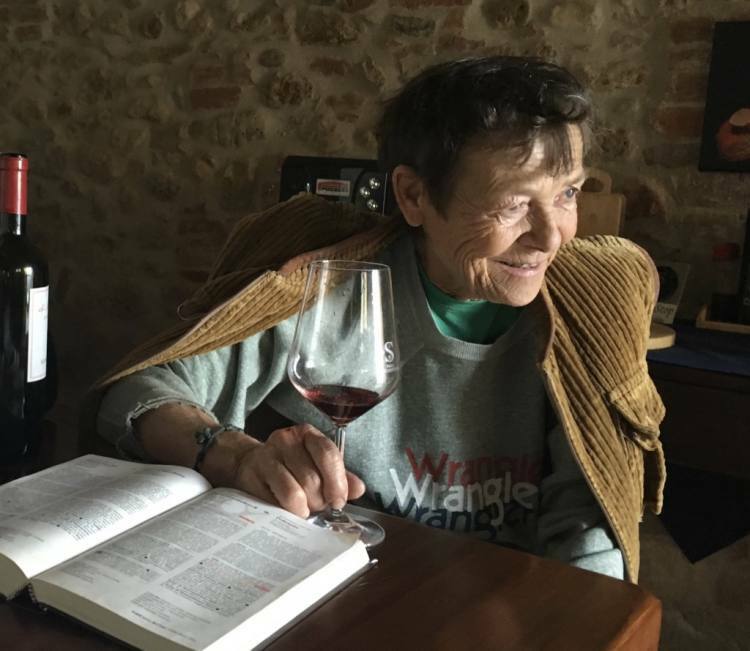 On the website for the Vini di Vignaioli event, Christine has included he websites of other organizations that share philosophies similar to the Association de Vins Naturels: Renaissance Italie, Vini Veri, Vinnatur, and Vins Sains. Watch my blog for more posts on vignaioli that are part of this broad community and their outstanding wine.